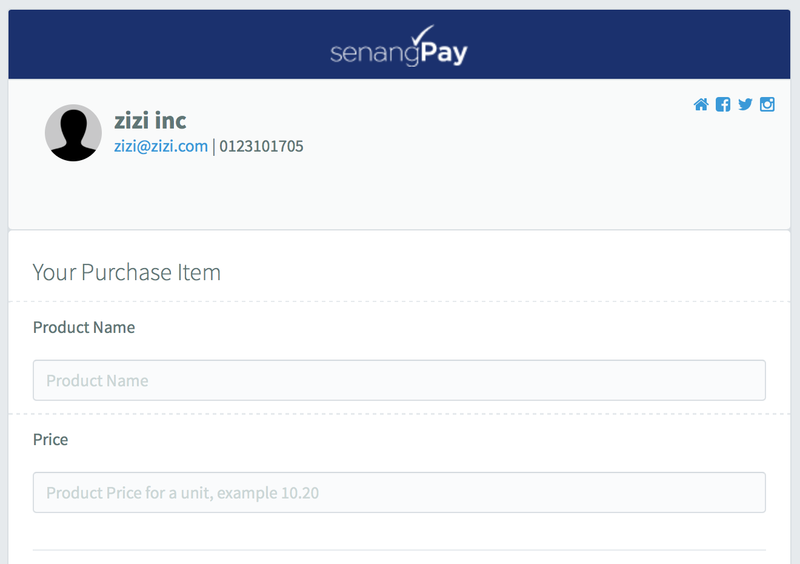 Merchant business header will appear in Universal / Unique Payment Form. This will help your buyer to recognise your business information and brand. 2. Refer to the Header Detail section. Below are the example screenshot of a header. Please take note that the amount of information displayed in the header is based on the amount of information you supply in the Profile Setting. 1. If you provide full information on the profile setting, this is your header. 2. If you don’t apply the GST number, this is your header. 3. If you don’t register your business and have no business registration number, this is your header. 4. If your social media link is incomplete, this is your header. 5. If you don’t have any social media info at all, this is your header. 6. If you upload image for avatar, this is example on how the avatar look with your image. 1. Seller name is your business name / brand name. 2. Contact number is the telephone number for your buyer / business. 3. Email is for your buyer / business. 4. 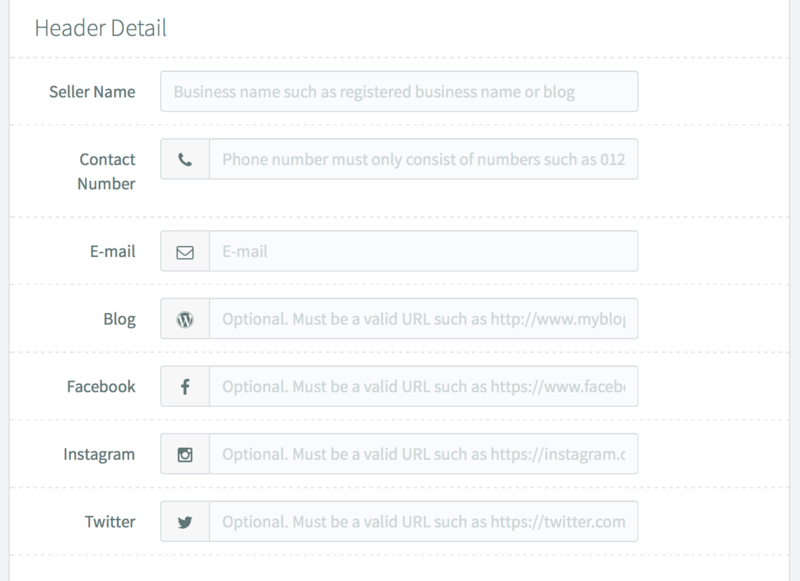 Blog, Facebook, Instagram and Twitter is optional, and will appear in the header for your marketing purpose.